Remember Dinneen? We met her a couple of days ago when she shared the story of how she went to France and saw how they ate … and how much healthier they were. 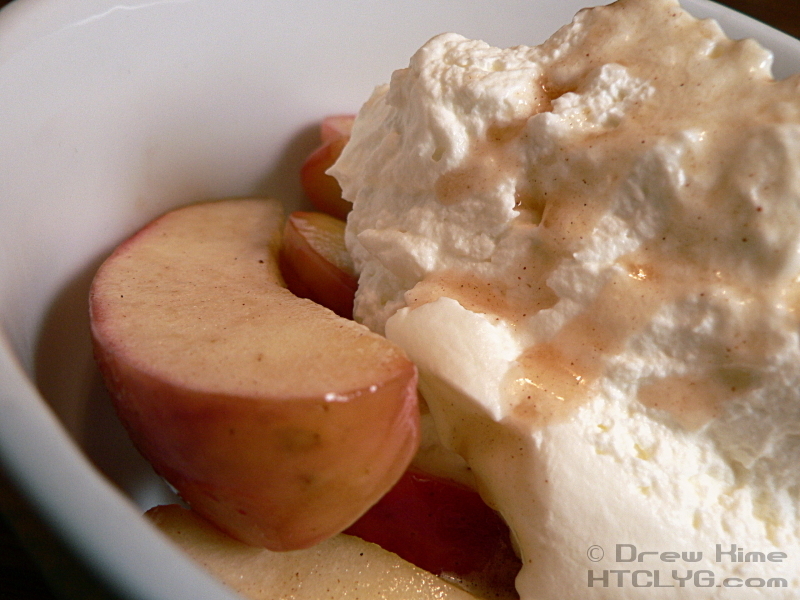 Today I returned the favor and wrote up a recipe on Dinneen’s site. 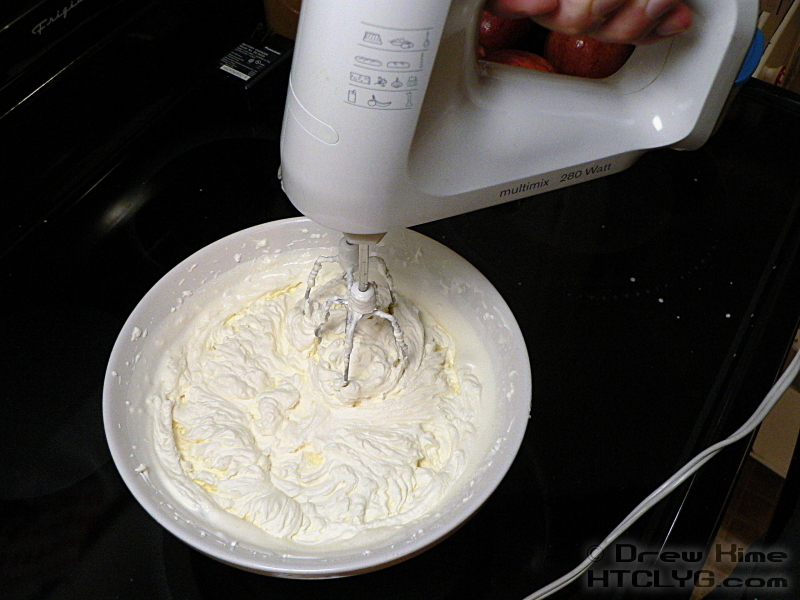 If you’re coming over from Dinneen’s to find the recipe for whipped cream I mentioned, here it is. Learn this one simple technique and you’ll improve your desserts for the rest of your life. Just put one pint of heavy cream (I’m showing double this amount in the pictures) and one tablespoon of sugar in a bowl and mix on high speed until it thickens. 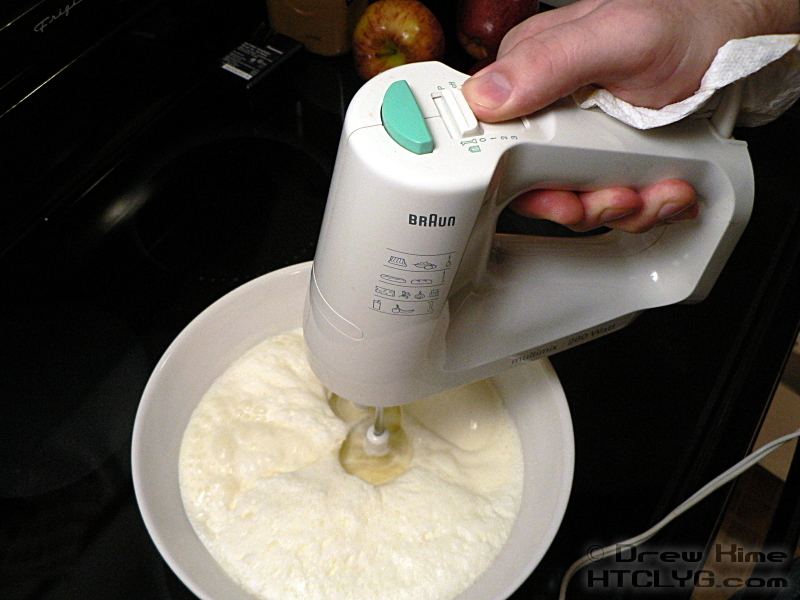 I tried to do this with the stand mixer, but after a couple of minutes all it was doing was splattering everywhere. So I transferred it to another bowl and started over with the hand mixer. 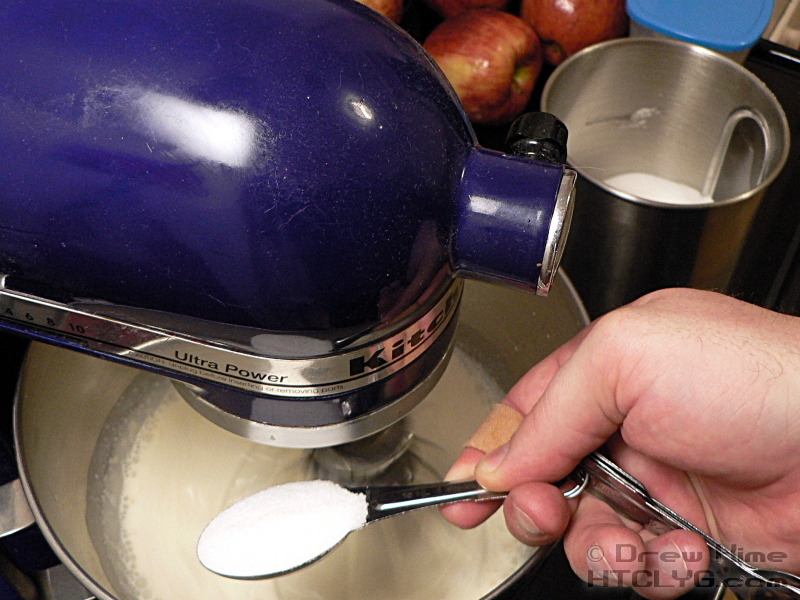 The counter-rotating beaters work better than the orbital whisk on the stand mixer. 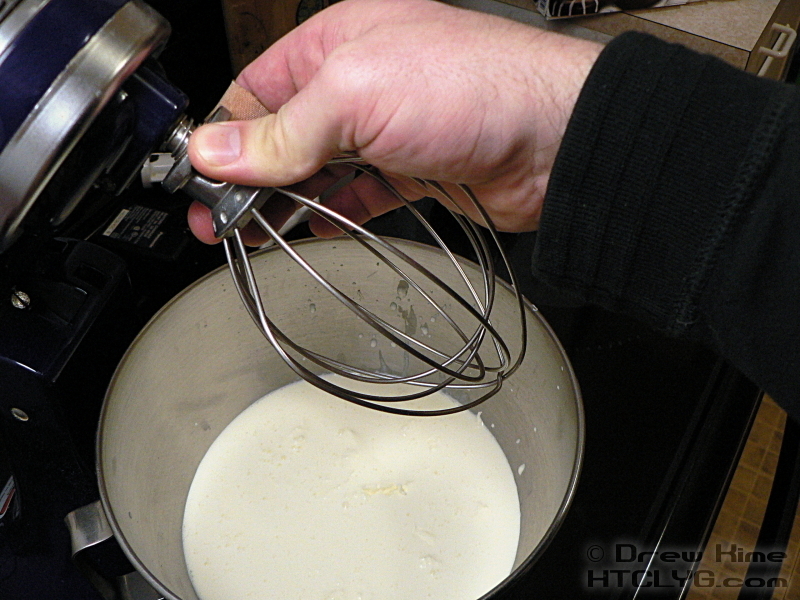 I’m not exactly sure why, except that the stand mixer was stirring more than it was beating it. You’ll notice it starting to gain in volume, then suddenly start forming soft peaks. Don’t stop when it’s the consistency you’re used to from the stuff in the blue tub or the red can. 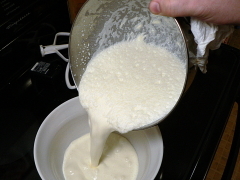 Real cream gets much thicker than either of those. … If you’ll excuse me, I’ve got a little of this left in the fridge. I think I’m going to put it on top of a banana smoothie.